This Is Day One is leadership expert Drew Dudley's guide to cultivating the behaviors that will help you to succeed and empower those around you. 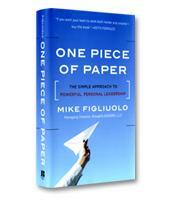 Day One is when you discover, define, and start to consistently deliver on your foundational leadership values. Living that day over and over is what creates leaders. Dudley helps you understand what your Day One needs to look like, reminds you why you're a leader, and makes clear what you can do about it starting today, on Day One. The Walt Disney Company refers to its employees as “cast members.” Other, equally informal terms adopted by employee-focused companies include associates, partners and team members. In each case, those employees are typically taught leadership skills as part of a broader career-development program. 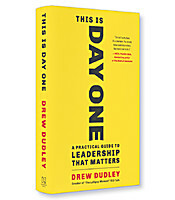 In his new book, This Is Day One: A Practical Guide to Leadership That Matters, leadership consultant Drew Dudley argues that this is the wrong approach. Teaching leadership as if it were “something bigger than us and something beyond us” leaves no room for the foundation of personal leadership upon which all successful lives are built. Dudley has no argument with leadership as an aspirational practice. In fact, he wholeheartedly supports a “relentless commitment to the daily behaviors that will make you a better executive.” Where he disagrees is the assumption that leadership has to be taught from a misguided debate over whether leaders are born or made. The foundational premise is that everyone is already a leader. That leadership may not involve hundreds of direct reports, responsibility for million-dollar budgets or even a fancy title. What it does involve is how you behave on a day-to-day basis and the commitment you make to consistently improve that behavior. Dudley is remarkably frank in sharing his personal story. Challenges with alcohol, mental health and obesity have accompanied him on his road to success. Overcoming those challenges hasn’t been easy, and he openly admits to having failed in his commitments on some days. He attributes his success to not treating each failure as permanent. By treating the next day after a slip as another Day One, he is able to renew his commitment to a set of positive behaviors, rather than punishing himself for yesterday’s failure. 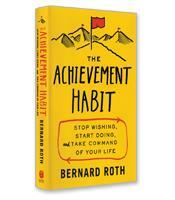 Identify a key value you wish to embody every day. A glossary of values is added as an appendix, including such values as empathy, gratitude, humility, etc. Clearly define that value. What does it mean to you? Do something each day that embodies that value. 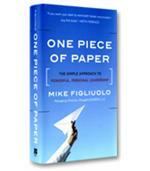 Operationalize it! Impact: What steps have you taken today to recognize someone else’s leadership? Courage: What did you attempt today, even though you knew it might not work? 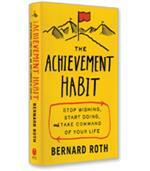 Empowerment: What actions did you undertake today to help someone move closer to their goal? Growth: What steps did you take today to make sure someone learned something? Class: Where did you choose to improve rather than just accelerate? Self-Respect: What actions did you take to be good to yourself? Dudley underscores the concept of personal leadership with an emphasis on key value resonance. The key value you choose to embody each day must resonate with you. 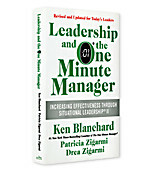 It should not be a value that some other business book or leadership model has suggested for you. The six questions are action-oriented, and if they are applied to a key value that has no resonance, you will not be prompted to take action in answer to those questions.